The Anova Solo 5600K Standard LED EcoFlood by Rotolight is a revolutionary LED flood light source with a host of features that will make it indispensable in the studio or on location for large or small productions. Weighing 7.0 lb and measuring 17.3 x 19.4 x 4.2" the Anova manages to output the impressive equivalent of 3900W of tungsten light with a beam angle of 50 degrees. That kind of power requires sophisticated control so the Anova Solo provides wired DMX, Wi-Fi and back panel control options. There's even an optional iPhone / iPad App that allows you to sample the ambient light's color and intensity and accurately reproduce it on site. You can then transmit the info anywhere in the world to match up multiple Anovas being used on location. A fader function allows you to control multiple lights and settings with transitions, wirelessly. The Anova Solo comes with a TVMP connector for 5/8" stud light stands, as well as a 9 piece filter set that includes diffusion, minus green, cosmetic peach and CT Blue and Orange filters. Optional accessories include a louver, barndoors, aluminum hard flight case, softbox, Fresnel attachment, reflectors, and a T-Connector plate. Daylight balance accurate to +/- 100K. Correction filters are included to achieve 6300K, 4400K or 3200K color balance. High output for long throw applications. Uses iPhone / iPad App to accurately sample both color temperature and intensity and wirelessly transmit and recall settings with DMX-style fader control across the globe to Anova lights on location. A V-mount plate for battery operation is included. Includes built-in Wi-Fi and wired DMX, allowing wireless remote control of brightness, color temperature and system settings via iPhone or iPad. Anova's unique design allows users to create a huge honeycomb array of Anovas for larger projects using optional T-Plate connectors and custom yokes. 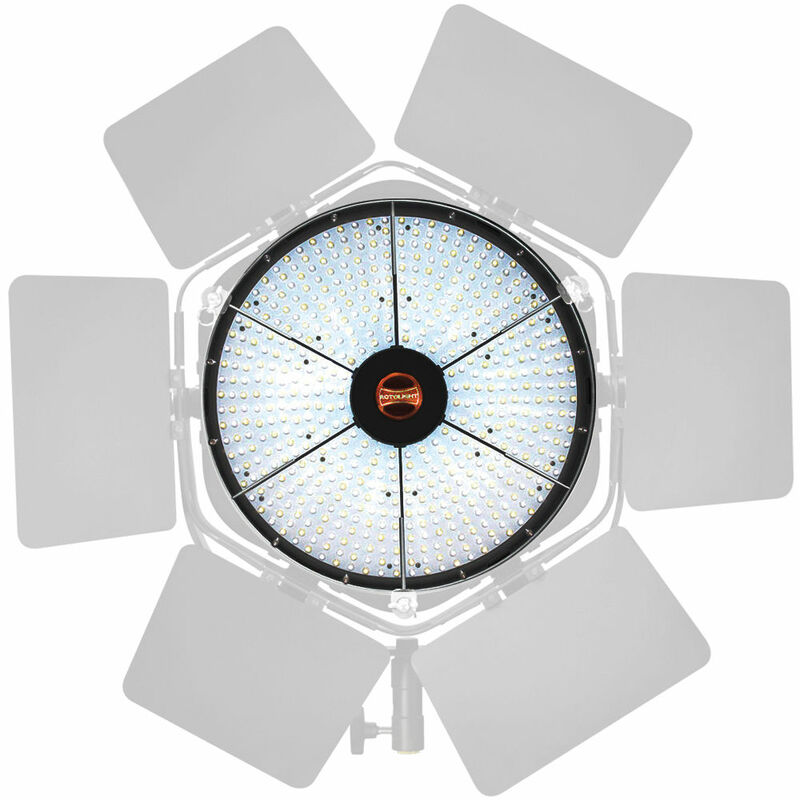 Box Dimensions (LxWxH) 22.835 x 22.205 x 8.583"
Anova Solo 5600K Standard LED EcoFlood is rated 3.0 out of 5 by 2. Rated 1 out of 5 by KenF from Beware! poor design and over rated output I bought this 10/30/14 and have made use of it in a couple of application but for the most part it has been relegated to a work light. They claim impressive equivalent of 3,900W of tungsten light. It's more equivalent to a 650w tungsten. The barn doors are not worth purchasing since there is a major design flaw when they are attached. You can not tilt the light down more than 10-15. Rated 5 out of 5 by zach from Awesome Light! Great light, strong output, great color, feels sturdy, low power, easily dimmable from my phone when it's high up on a stand. What more could I ask for?